McKee, the seat of Jackson county, was founded in 1858 with the new county and probably named for Judge George R. McKee. It is near the center of the county and is on the headwaters of the Rockcastle River. McKee was incorporated in 1882. The McKee post office opened in 1858. The population in 2010 was 800. 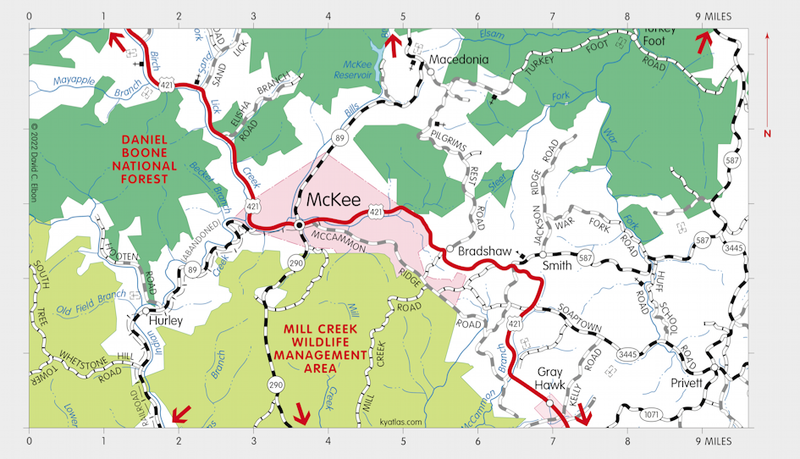 McKee has been designated a Kentucky Trail Town.